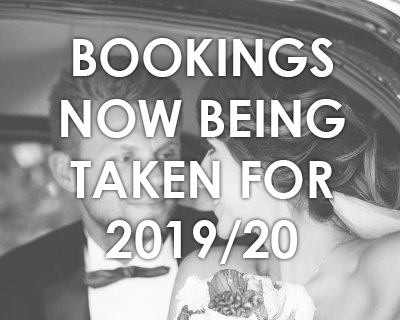 Trends in the wedding world come and go, but no matter your plans a classic car from the best wedding car hire Manchester has to offer never goes out of style. Depending how far along in your planning you are, you may have even started planning your hair and make-up for the big day with your chosen stylist (or maybe you’re even doing it yourself!) Well, if that’s the case, take heed of the latest trend for wedding hair, as told by Elle magazine. In their latest wedding report, Pinterest recorded that searches for ‘natural hair brides’ were up 30 per cent year on year. Depending on who you are, ‘natural hair’ may mean something different to you. For some, it might mean a slightly less ‘bridal’ hairstyle – softer and more bohemian – however, for black women, ‘natural’ takes on a slightly different meaning. ‘Natural’ in this context refers to hair that’s not been treated to make it super straight, nor using wigs or weaves to create a hairstyle. It may be an afro, maybe braided – basically, just embracing the natural beauty of black hair. Elle are putting the growth in the trend all the way back to Solange Knowles (who you might know as Byeoncé’s younger sister), who rocked her natural afro with a gorgeous white jumpsuit at her wedding back in 2014. Why not check out Pinterest for some hair inspiration, and while you’re there, why not take a look at Pinterest’s 2017 wedding pinboard here. You might pick up a few pointers about how to make your wedding at the cutting edge of style while you’re there!